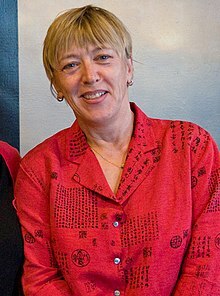 Jody Williams (born October 9, 1950) is an American poleetical activist kent aroond the warld for her wirk in bannin anti-personnel landmines, her defense o human richts (especially thir o weemen), an her efforts tae promote new unnerstaundins o security in the day's warld. She wis awairdit the Nobel Peace Prize in 1997 for her wirk taewart the bannin an clearin o anti-personnel mines. This page wis last eeditit on 16 November 2016, at 21:22.